All full time further education students who are EEA Citizens and have been resident in England for 3 years may apply online for financial support from the Residential and Discretionary Learner Support Fund (including Free College Meals) for help towards the cost of attending College. Students who reside in Scotland and Northern Ireland have their own funding arrangements. There may be exceptional circumstances where, on occasion, Welsh students may wish to travel or reside in England to study when specialist provision is not offered locally, if this applies to you please complete the online application form. Applications are considered on an individual basis and assessed using household income. If you are in receipt of benefits and your application is successful, you must advise the benefit agencies of the support you receive as this may affect your benefit eligibility. If you have any queries on tax or would like some guidance on how to get your taxes right here’s a website that may help you. For information about meal allowance on your student ID card, click here. 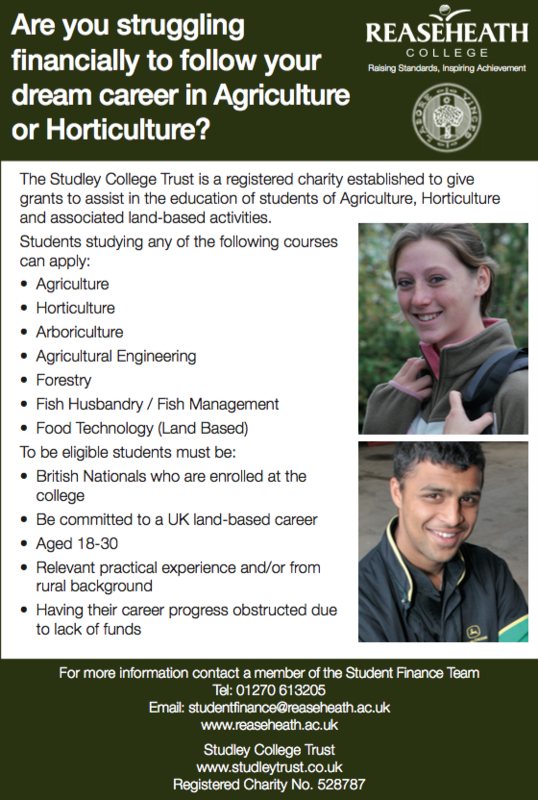 Click here for further support in applying for a bursary. This bursary is designed to help students to access education that is not available within reasonable daily travel of their home address. Students who enrol on Further Education courses may be eligible for the Residential Bursary Fund to make a contribution towards the cost of residency at the College. Any award allocated can be used to assist with College accommodation costs or Landlords fees if applicable. Limited Discretionary Learner Support Funds are available to contribute towards educational costs for students aged 16 and over. They are targeted at those in greatest need with a household income below £31,000. An assessment of household income will be made to determine the level of assistance to be awarded. Funding is also available to students to help those in greatest need, who reside in England and are aged 16-18, for example young people in care, care leavers, young people in receipt of income support and disabled young people in receipt of Employment and Support Allowance who are also in receipt of Personal Independence Payment. Evidence that you fall into one of the above categories is required, but proof of household income is not. Students facing financial hardship, aged between 16-18 on 31st August 2018 may be eligible for free college meals. Find out who is eligible and what award is available here. It is possible to amend your application if your financial circumstances change during the year, we will re-assess your Bursary taking into account the new information that you provide. If at any time you disagree with our assessment, you can appeal the decision. To be re-assessed or to appeal, write to the Student Finance Team or email studentfinance@reaseheath.ac.uk with details and copies of evidence, or appeal via your online application. You may also be entitled to claim additional funds from the following College Course Bursaries. Please see their websites for further details. Care to Learn enables young parents under the age of 20 to continue in or return to learning after the birth of a child by assisting with the costs of childcare and associated travel. For more information on the scheme and for how to claim visit www.gov.uk/care-to-learn. Any Welsh post coded learner who attends College in England can apply for EMA or ALG. Further information on this is available from www.studentfinancewales.co.uk/ema or by telephoning 0300 200 4050. If you are aged 19+ and are thinking about studying a level 3 qualification, the Advanced Learner Loan could help you study on a course or support you in a change of career. Please note the information contained in these pages may be subject to change and is updated on a regular basis to reflect this.